An innovative solution for brand awareness. 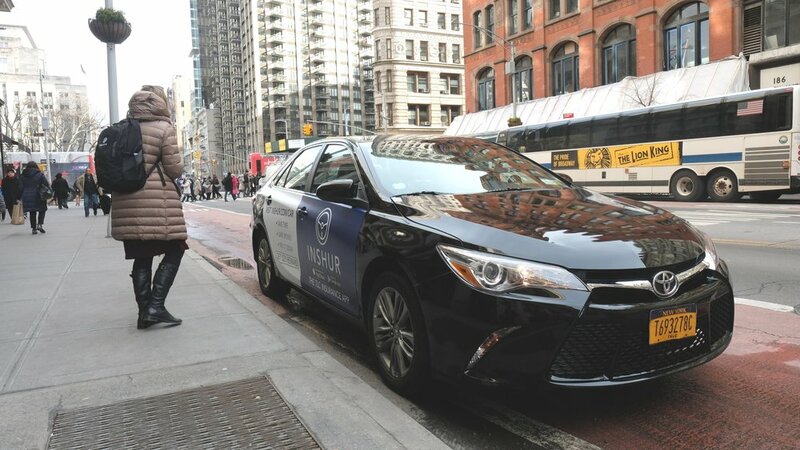 mobilads connects brands with millions of consumers through rideshare vehicles. Rideshare provides more access to Millennials in high-traffic areas than any other form of transportation. Our innovative placement – both interior and exterior - creates memorable impressions and connects your brand to relevant riders and pedestrians on-the-go. We collect billions of location-based data points and combine them with crowd analytics to attribute and direct your target audience to your front door (real or virtual). Take over any city with branded rideshare vehicles. 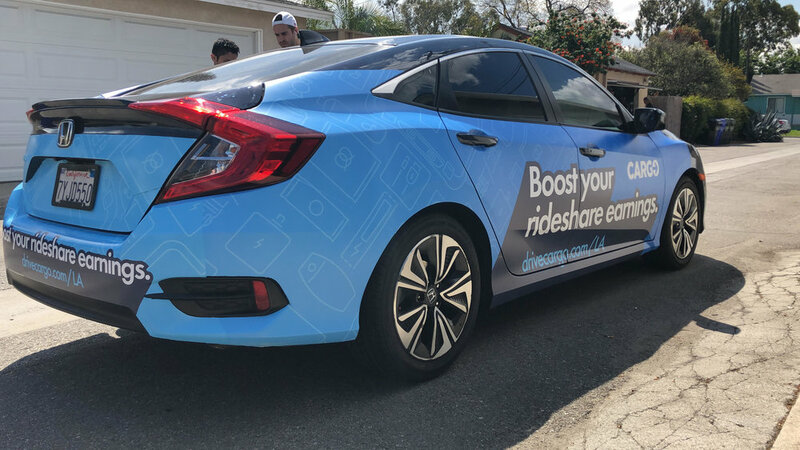 Through thousands of rideshare driver partners, mobilads’ has the ability to launch city-wide takeovers for brands, with campaigns of 1,000+ vehicles - even those hard to reach cities with few OOH options. 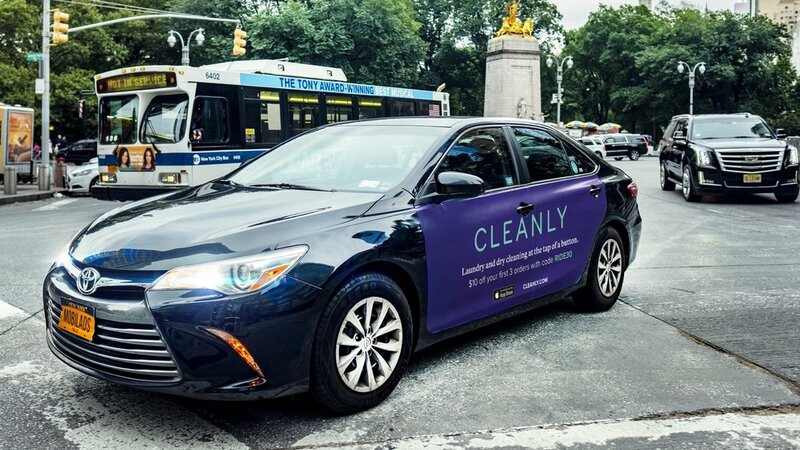 mobilads delivers optimal exposure for your brand, generating an average 15,000+ daily impressions per car in New York City. 65% of all rideshare passengers in NYC are Millennials and they are spending over $130 a month on Uber and Lyft. The inclusion of mobilads accelerates the reach and frequency of any integrated media plan. Our platform is one of the most effective drivers of search, social, and mobile engagement as well as cross-channel attribution. Have another city in mind? Ask us! We can reach any city that has rideshare drivers. Collecting millions of data points each day. Our location-driven insights enable users to micro-segment target audiences and understand true ROI of a campaign, all in a simple, digestible format. Get your brand seen by millions of consumers. mobilads vehicles are on the road for 50+ hours a week, in and always driving towards high-density areas. Our GPS technology enables clients to view their vehicles in real-time, and our data capabilities allow brands to know who saw the ad, when, and where. Our certified team of professionals ensure the highest quality print and installation techniques, performing thorough inspections with a 5-step cleaning process. Our displays are 250% - 400% larger than watered-down taxi top ads. No more competing with other brands for eyeballs in the slideshow! We use HD vinyl weatherproof decals that are designed for long-term or short-term exposure, as well as quick and easy installation/removal. mobilads works with business partners to help create an elevated rideshare experience for both drivers and riders.